Cut intricate details with ultimate precision, from lace stationery designs to fine snowflakes and spider webs for holiday décor. 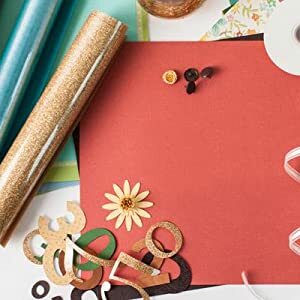 Use Cricut Pens to make 'handwritten' cards and projects. Choose from over 370 fonts, or use a favorite font from your computer for free. 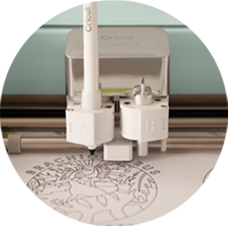 Then sit back and watch Cricut Explore write away! 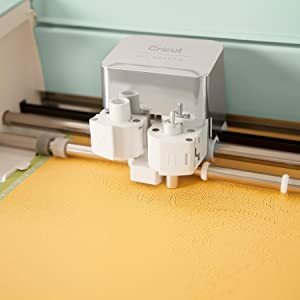 With the Scoring Stylus, Cricut Explore machines create perfect fold lines for cards, envelopes, boxes, 3D paper crafts, acetate pinwheels, and much more. 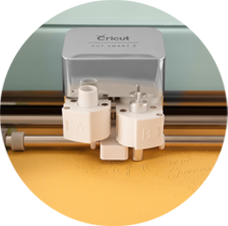 Cut And Write Up to 2x Faster. Make the most of every minute with the new Fast Mode – up to 2x faster cutting and writing for vinyl, iron-on, and cardstock. 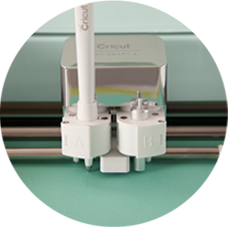 Get it exclusively with the Cricut Explore Air 2.